This spiral Goddess suncatcher can be hung on the rearview mirror, in a window or wherever you choose! 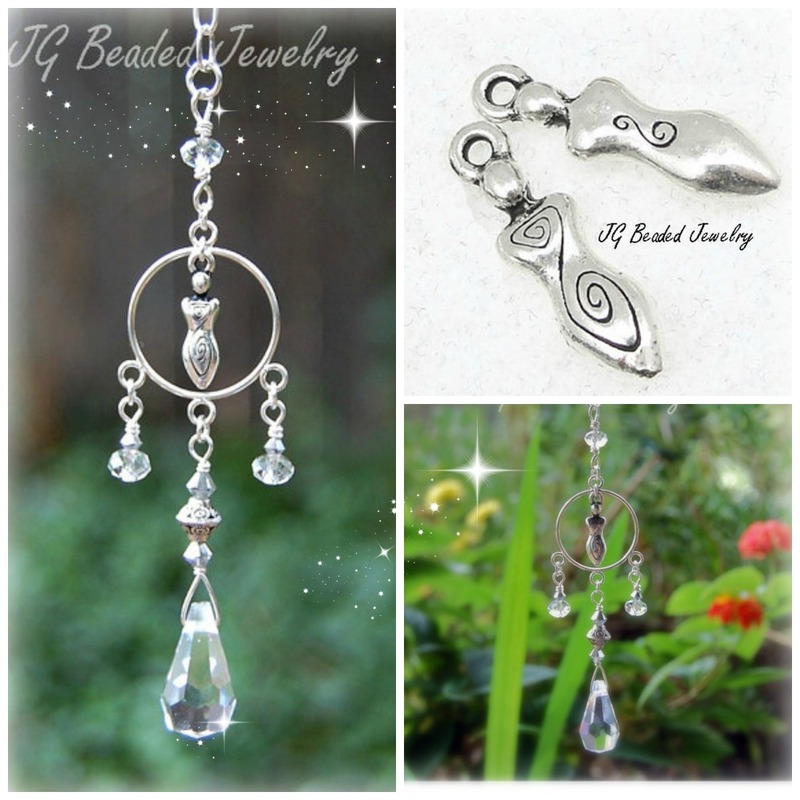 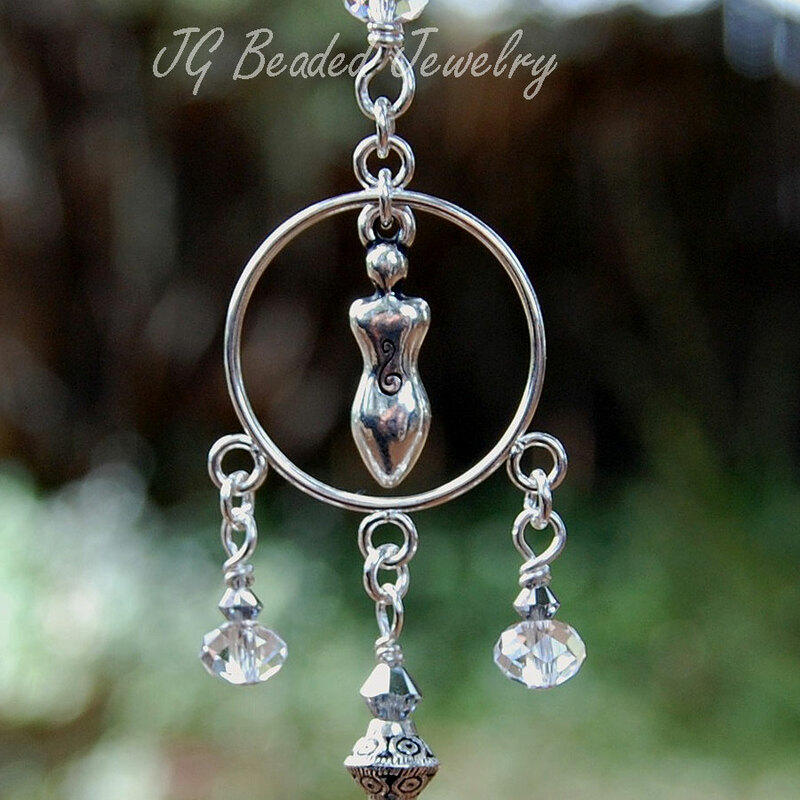 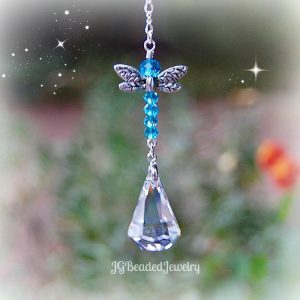 The two-sided silver spiral Goddess charm is embellished with a teardrop prism crystal, beautiful and flawless silver/clear Swarovski crystals, clear faceted crystal beads and a decorative etched silver metal bead. 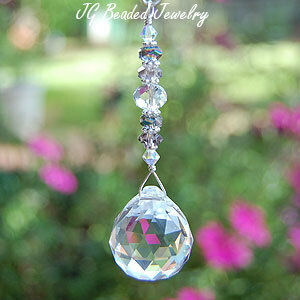 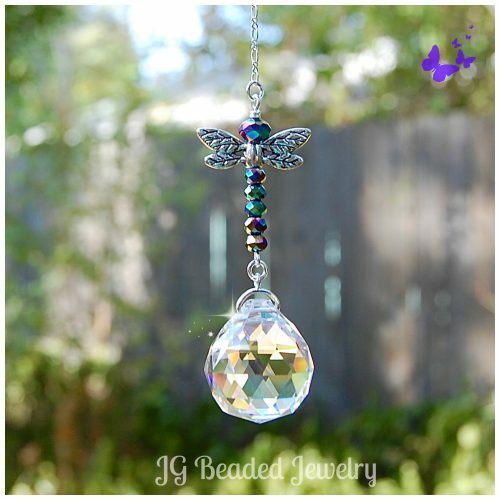 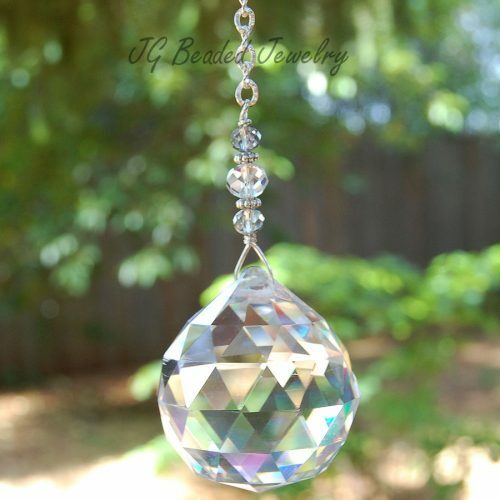 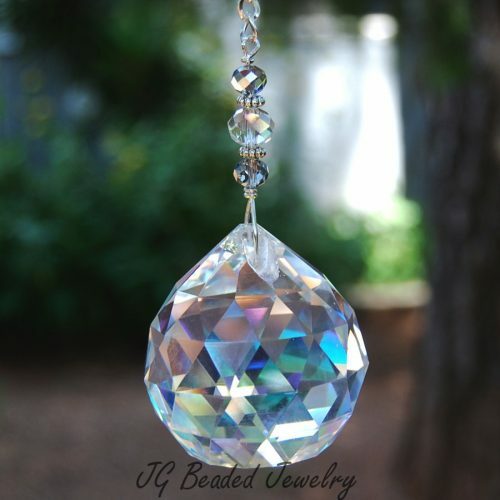 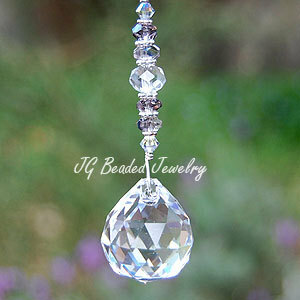 This Goddess crystal decoration will splash rainbows when in direct sunlight. ♥ The symbol of the double spiral on the Goddess represents the dual purpose of life, the journey inward to your essence and outward to the world. 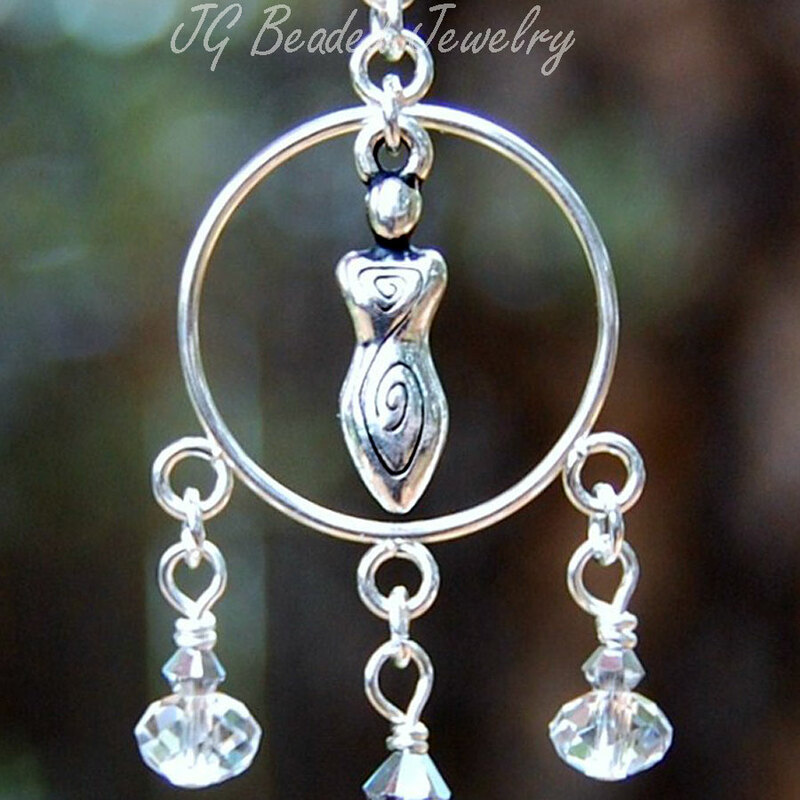 Perfect gift for your favorite Goddess!